The Dedale Gold range is a stunning collection in silver plated 18/10 stainless steel and gold lacquered handles, with fine details including shaped ferrules and ornate caps. Beautiful and unique, each Dedale piece is hand finished in Alain Saint-Jonais’ central France workshops. Forged in 18/10 stainless steel. 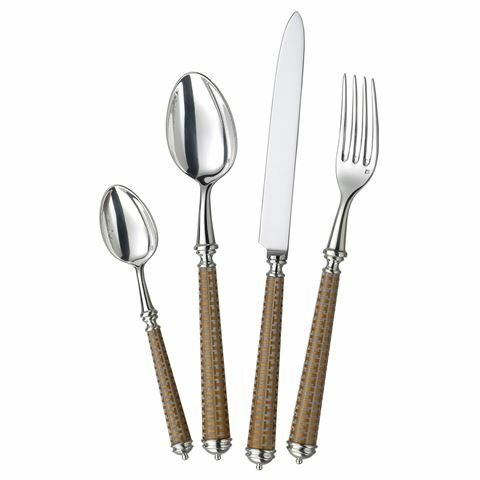 High quality 33 micron silver plated, gold lacquered handles.